It looks like the Russian military build-up is expected to compensate for the relative weakness in other respects – economic, technological, ideological and psychological. Russia has embarked on the path of a military build-up, despite the fact that there is no external military threat. This policy will be continued some form or other as it fits in with new international realities and agrees with the internal logic of the country’s development. The question is how to optimise it. We, the country’s people and (it looks like) its leaders, too, do not take the trouble to explain to ourselves and, possibly, we do not even know why we need military strength for, or how much of it we need. Many argue that military power is losing its importance. This belief is especially popular in Europe, which has had a history of brutal, suicidal wars. Indeed, most of the contemporary world’s greatest problems – climate change, the demands by increasingly active masses of people to improve well-being, the unstable condition of world finances and the growing relative shortage of raw materials and food – are not solvable by military force. The changed political culture and the economic structure make the seizure and control of territories and their populations economically senseless. In a sense, the use of military force is being delegitimized. Whereas before a war was – to paraphrase Clausewitz’s classical formula – a normal extension of politics by other means, these days, after two world wars and the emergence of nuclear arms, the ethical standards have changed. An attempt to use military power is considered as failure of policy. The events of the past few years provide fresh proof that military strength as a measure of a state’s power and influence in the world is becoming inefficient nowadays and has no prospects for the future. The country that is the strongest in military terms – the United States – has suffered defeat in two instigated wars on end (in Iraq and Afghanistan). However, the idea about the diminishing role of military strength in the world and of the loss of its value as a main instrument of state policies runs against a wall of other factors and arguments. A renaissance of military power? Some wars have been won, though. The West gained the upper hand in Yugoslavia and, with a very dubious outcome, in Libya. Russia attained victory in Chechnya, for which it paid a monstrous price, and – most certainly – in Georgia. Nuclear deterrence does work. It leaves no chance for big wars to break out. And no country reduces nuclear arms in earnest. All countries tend to upgrade them and build them up. The new world leaders, like China or India, which might seem to benefit a great deal from peaceful competition, are quickly arming themselves. Future wars for resources and energy are on everybody’s tongue. Security-related state agencies and academic quarters are overstaffed with respectable-looking gentlemen whose careers are past their prime and who are both reluctant and unable to think in any other way than using the categories of the time they were young. They are pulling us backwards. Some are inventing infinite threats. Others call for getting back to the good old days of arms control, which was one of the engines (although a rather decent one) for going ahead with the arms race. Apparently, all this talk about threats does have an objective reason behind it. Quite a few ethical norms of international coexistence are being ditched. Many have put forward humanitarian reasons to excuse the attacks on Yugoslavia, Iraq and Libya. But the end result is the only thing that counts. All countries have been able to see for themselves that only the weak get beaten. Non-nuclear Iraq was razed to the ground on false pretexts. In the meantime, North Korea, which is still less pleasant from the humanitarian point of view but which has managed to acquire nuclear capability, feels secure. In the new world, seizure of a territory and its resources does not work. But military power can well be used to close or open access to them. Nuclear arms non-proliferation has long contributed to the renaissance of military power in international relations. The existing nuclear powers and the countries that may go nuclear put their neighbours in a very vulnerable position. They have been trying to find counterbalances and they will keep doing so. Structural changes in the international system offer another argument for greater reliance on military strength, too. Faced with global changes against a backdrop of weaker institutions of global governance, societies have hurried for protection under the good old umbrella – the state. The world politics and economy (to a certain extent) have begun to be re-nationalized. But nation states have lost much of their original strength. Their ability to control information, financial, economic and political processes in their territories is wearing thin. Also, they are becoming ever more dependent on the outside world. There emerges another argument in favour of greater reliance on arms as the only tool of which the states almost entirely keep control. The world economic crisis, which is likely to last for a whole decade, may contribute to partial re-militarization of world politics in the medium term. It restricts the appetite of military lobbies. But at the same time it makes the radicals inside individual countries stronger, and gives a powerful impetus to instigating wars as a means of diverting attention from the desperate situation at home. Russia has begun to build up military muscle, too. From the standpoint of military security it is in a situation that is unprecedented in its history. The country that for a thousand years has been building around the fundamental national idea – defence from outside threats and protection of its physical sovereignty – is no longer under threat and will have no risk of coming under threat in the medium term. The last threat of a military standoff existed before 2008, while the NATO’s expansion was fraught with the risk of taking over Ukraine. This could make Russia inadmissibly vulnerable from the standpoint of military security and could spark a split and a conflict inside Ukraine, in which the whole of Europe would join in with a high degree of probability. NATO’s expansion was stopped, alas, not by persuasion or calls for common sense. The show of Russia’s military muscle in Georgia did it. Moscow should be “thankful” to the incumbent Georgian leadership and those who had instigated it to attack South Ossetia: with its war and defeat Georgia prevented a far more dangerous scenario. Those in Russia who cry about the menacing foreign threat often point to NATO’s formal advantage in conventional forces and military hardware. But at the same time they pretend they do not see that these forces and spending on them in Europe have been steady on the decline for the past two decades, and there seems to be no end of it. China, aware of its growing competition with the United States, including in the military-political sphere, is doing its utmost not to threaten Russia. True, there exists the problem of China’s gaining too much strength, which in a situation where there is no energetic policy for development of the Trans-Baikal region, may result in the “Finlandization” of Russia, so to speak. But this risk is not a military one. Real threats of conflicts keep multiplying along Russia’s southern borders. These conflicts will have to be prevented or neutralized in various ways, including the use of armed force. But these threats are is fundamentally different from the existential ones that had shaped Russia’s history for centuries. Even in the long term no obvious traditional large-scale military threats are in sight – if, of course, one does not indulge in self-scaring with horror stories about the United States acquiring a capability for a massive attack on Russia with smart conventional missiles. Even if such missiles are ever created, the threat of a strike against Russian territory looks ridiculous as the retaliatory blow can be only a nuclear one. But even though there is no war threat, the military build-up policy will be inevitable. Not just because of the need for having up-to-date armed forces to deter potential challenges. I believe that in the eyes of the Russian leadership the need for gaining greater military strength will stem first and foremost from the factors of the country’s international positioning and the predetermined prospects of its political development. Four years of sweet mumbling about modernisation and practically no concrete action, except for Skolkovo, clearly demonstrates that neither society nor the elite is prepared for a modernisation breakthrough. Economic weakness is a threat to Russia’s sovereignty. Not only Vladimir Putin, but many other Russians, too, were able to see for themselves in the 1990s that the weak are doomed to get beaten. And society seems to be determined at the gene level to safeguard its sovereignty at whatever price, which it did with exceptionally desperate courage throughout its history – only to plunge back into poverty or even slavery. One may regret most of Russians are unable and reluctant to “live the way everybody else does,” to be a “normal” country. And I can see no changes on the horizon that might alter this mode of behaviour. It looks like the military build-up is expected to compensate for the relative weakness in other respects – economic, technological, ideological and psychological. The ongoing reform of the armed forces is revolutionary, indeed. The large, traditionally mobilization-based Russian and Soviet army, meant for a major ground war with the West, is being replaced with a smaller, more professional and permanently combat-ready army, capable of providing an adequate response to low- and medium-intensive conflicts. 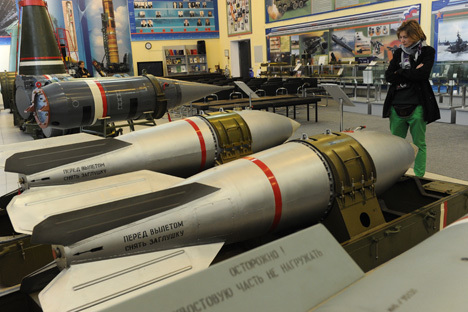 The reform suggests and is already implementing increased reliance on nuclear weapons in preventing large conflicts, and these weapons are being upgraded, too. It is already clear that the Russian army is becoming professional very quickly, and pretty soon conscription may be cancelled, reduced drastically, or made voluntary. Military service is being humanised, albeit slowly and unevenly. The main thing is that the armed forces, despite wild resistance, are being re-configured to meet the real challenges of today and tomorrow. The military build-up policy is not only generally desirable for the ruling elite, and, possibly, for the country, but also inevitable. The question is how and at what cost. It will be important not to overspend, thereby ruining the development budgets. In the meantime, it looks like a policy has been launched towards suicidal (for the country) cuts in spending on education, instead of its dramatic increase. The reduction will upset even the beyond-horizon chances of making a modernisation breakthrough. It would be very silly to overspend and over-arm oneself beyond any measure only to breed more enemies, who would be looking at Russia with horror. What makes the risk of mistakes still worse is that there are practically no institutional restrictions on the arms race. Only two restraints exist at the moment. The finance ministers – the current one and his predecessor – have been doing their utmost not to give as much as they were asked for. And the defence minister has been trying to limit the appetite of what’s been left of the defence-industrial complex – thirsty for investment and, admittedly, corrupt as elsewhere. In the current political system the national parliament is unable to play any tangible role in shaping a new military policy and in forming the budget. No less alarming is the absence of an academic or public discussion of military policy priorities. This article is not a memo for decision-makers to read. I am not giving any recommendations but to realise what is to be done, it is necessary to purposefully promote independent social, political and scientific analysis of the processes that are underway in the military sphere. Or else there will be too many mistakes to be paid for too dearly. This is an abridged version of an article first published in Global Affairs.